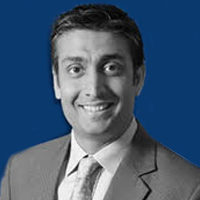 Rishad Premji is a Director of Wipro Enterprises (P) Limited and also Chief Strategy Officer & Member of the Board of Wipro Limited. He is also on the board of Wipro-GE, a joint venture between Wipro and General Electric in healthcare. He is also on the board of Azim Premji Foundation, a not-for-profit organization, with a vision of enhancing quality and equity in the public school education system in India, to build a better society. In 2011, the Foundation established the Azim Premji University, which is focused on teaching and research programs in Education and other areas of Human Development. Prior to joining Wipro, Rishad was with Bain & Company in London, working on assignments across Consumer Products, Automobiles, Telecom and Insurance. He also worked with GE Capital in the US across several businesses throughout the Insurance and Consumer Lending space and is a graduate of GE’s Financial Management Program (FMP). Rishad has an MBA from Harvard Business School and a B.A. in Economics from Wesleyan University, US. In 2014, he was recognized as a Young Global Leader by the World Economic Forum for his outstanding leadership, professional accomplishments, and commitment to society.